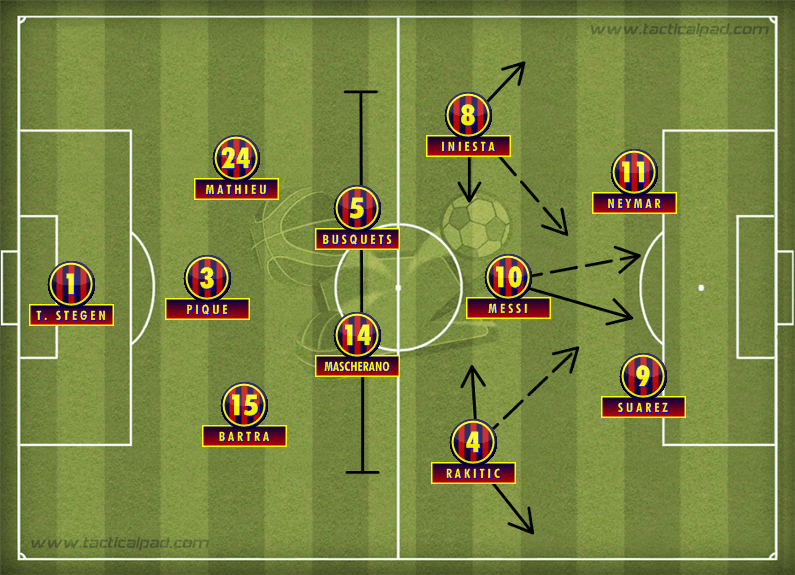 Barcelona Tactical Preview: How will Luis Enrique’s side set up in the 2014-15 season? As we move into the new club football season, Outside of the Boot will be publishing regular Tactical Previews of the sides from across Europe’s top seven leagues. This latest one focuses on Catalan giants, Barcelona. Adam Gray takes a look at their basic formation, analyses their tactics, key player and their potential key young players of the 2014/15 season. For FC Barcelona, last season hurt. 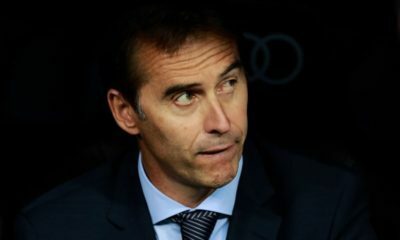 Not only did they end up without a trophy for the first time in six years, but they experienced first-hand the disappointment of losing the Copa Del Rey final to bitter rivals Real Madrid as well as conceding the league title to Atletico Madrid in the final game at the Nou Camp. 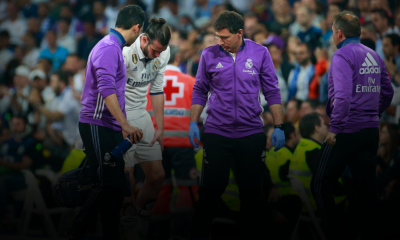 To deepen the wound, Real were to win the Champions League, the trophy with which Guardiola had constructed Catalan synonymity in recent years falling back into the hands of the bitter enemy. Gerardo “Tata” Martino had vanished any lingering joy from the Guardiola era with a turn to a more direct and rigid style that saw a reliance on long diagonal balls to the flanks and on the star talent that littered the squad. The trouble was Lionel Messi was distinctly off-key, plagued by a troublesome hamstring and by allegations that his passion for the game was on the decline; the midfield duo of Xavi and Andres Iniesta both struggled for fitness and form as well. Meanwhile Neymar enjoyed an electric start to his debut season in Europe only to fade away after the winter break. The Brazilian was to leave more of an impact off the pitch as the transfer that took him from Santos to Catalonia brought up allegations of tax fraud which forced club president Sandro Rosell to resign. More off the field troubles came with FIFA sanctions for breaching youth player rules, picking up a ban from transfers for 14 months. Carles Puyol and Victor Valdes both announced their departures from the club as the Guardiola era became more distant, miserable times exacerbated by the sad passing of his former assistant and successor Tito Vilanova. A summer of renovation was needed and Barca importantly managed to have their transfer ban delayed for the summer transfer window pending an appeal. Valdes has been replaced by two goalkeepers in Marco Andre Ter-Stegen and Claudio Bravo while Jeremy Mathieu adds another body to a defence now shorn of Puyol. For £15 million Ivan Rakitic arrives from Sevilla to add a missing energy to the midfield but the biggest statement of intent comes with the £75 million capture of Luis Suarez from Liverpool. The Uruguayan, scorer of 31 goals for Liverpool as they narrowly missed out on the Premier League title last term, joins Messi and Neymar in a mouth-watering front 3. Their most vital deal has seen appoint former midfielder and “B” team coach Luis Enrique as successor to the now departed Martino. Enrique succeeded Guardiola as manager of the B side and enjoyed similar success before leaving for a disappointing spell with Roma. A good season with Celta Vigo has seen his stock rise once again however and he brings to the Nou Camp his own innovative approach and a Guardiola-esque focus on fitness and discipline. There has already been a return to the hefty-fines and alcohol prohibition that Guardiola preached as he led the club to their most successful period in history. It is here though where the mentions of Guardiola cease as Enrique appears likely to move away from the 4-3-3 identity that had been imprinted into the club over the past 6 years. The signings of Rakitic and Mathieu have been especially significant in that their versatility will allow the introduction of a new system verging towards a 3-2-3-2, also based around the imperious Messi whose individualised “False 9” position begins to wane in the face of more compact and tighter defences. Messi is likely to remain as the central attacking hub with licence to roam into pockets of space but with less of a demand to take on the goal-scoring mantle. Chilean Alexis Sanchez has moved to Arsenal but Luis Suarez will bring his rabid determination and frightening movement that will open space for others a she shuffles across the front. On paper Messi will line up behind a central pairing of Neymar and Suarez but each of the trio possesses the speed of touch and intelligence, as well as the attacking potency, to form an attacking line that should be too fluid and menacing for most defences. The exit of Sanchez will sacrifice some width but Enrique still has options if he wants to revert to a more conventional 4-3-3 with Pedro Rodriguez offering a menacing alternative on the flanks, though Gerard Deulofeu’s loan to Sevilla tells another story. So excellent in defensive midfield for Argentina in their run to the summer’s World Cup final, the new system will see a return to his natural home for Javier Mascherano after spending the last couple of seasons covering Carles Puyol’s run of injuries as a makeshift centre-half. Blessed with an instinctive reading of the game that was on show in Brazil, he will form a rock solid defensive midfield shield alongside Sergio Busquets. For so long the cornerstone of both country and club in the holding “quarterback” role, Busquets will be once again relied upon to both break play and launch attacks with his fine range of passing. Both technically gifted and adept at moving the ball, they will supply the creative pairing of Iniesta and Rakitic who will occupy the outer channels ahead of them. While neither are natural wide players, both have the industry and nous to move into position in-front of the opposition full-back and bring the ball in field to supply the mobile trio ahead of them. 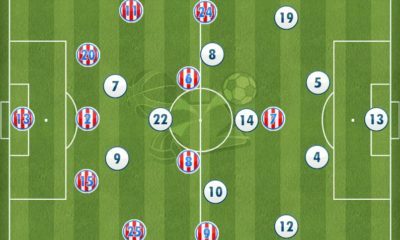 Their wider positioning of the two playmakers will give Messi more space to drift into as he moves deeper, avoiding congestion in central areas. Rakitic’s tireless work-rate will allow him to cover long areas of the right flank but Iniesta’s advancing years may prohibit him from doing the same on the left, so expect Enrique to rotate the Spaniard with the veteran Xavi, who has put off interest from Qatar to stay on at the club, and Rafinha Alcantara, the 21 year old Cantera graduate who Enrique managed at Celta Vigo. It is in defence where Enrique faces his biggest challenge in implementing change. The absence of Puyol’s leadership and unrivalled focus has been greatly felt, especially by Gerard Pique who for so long has relied on his captain to compliment his casual style and to keep him concentrated. A lack of pace was exposed often last term as Martino’s attempts to move away from the possession-prioritised game of recent years saw them concede much of the ball in dangerous areas. 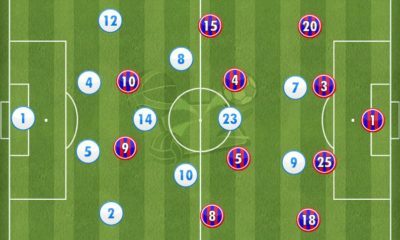 The visceral willingness of Jordi Alba and Dani Alves to bomb forward from full-back also saw them vulnerable to opposition counter-attacks stemming from wide areas. A move to a back 3 will give greater cover to Pique’s lack of mobility and the signing of Jeremy Mathieu from Valencia, whilst not the most inspiring capture, suggests Enrique will put an emphasis on versatility given the Frenchman’s ability to play at both left-back and centre-half. He is likely to play on the left side of a defensive trio while the £15 million deal to bring Thomas Vermaelen to the Nou Camp from Arsenal will see him slot into the defence with the required intelligence and versatility to cover both centre-half and full-back slots. However he will start the season with an injury so expect Marc Bartra, the 23 year old who began to break into the first team last season, to begin on the right side of the back 3. It will all be designed to freshen up a defensive set-up that looked jaded last season, placing more of a focus on organisation and strength in numbers in central areas. Mascherano may even drop back should Enrique want attacking threat from full-back, with Alves and Alba in reserve as well as a potential pursuit of Juan Cuadrado from Fiorentina. With neither Ter-Stegen nor Bravo showing enough to be an automatic number 1, competition will be rife to see who gets the nod to start behind them in the season opener with Elche on Sunday 24th August. Whoever is chosen will be asked to cherish the ball as he distributes it, to build moves from the back with care as Barca attempt to revert back to the days when the ball was cherished and the opposition was passed out of the game. Most eyes will be on Lionel Messi to see how he responds to a disappointing year which culminated in a World Cup where he looked to be returning back to his best form, but the star of the Argentina show was the less-lauded Javier Mascherano. The little chief is likely to return to his more accustomed role of defensive midfielder this season and if he can replicate his World Cup form then Barca’s defence will reap the benefits of a combative and solid screen sitting in front of them. He will be asked to do the untidy work to free-up partner Sergio Busquets in his role as a passer, and also the more creative players in front of him. Enrique will also notice his adaptability in being equipped to drop deeper should she want to unleash his full-backs into attacking areas. 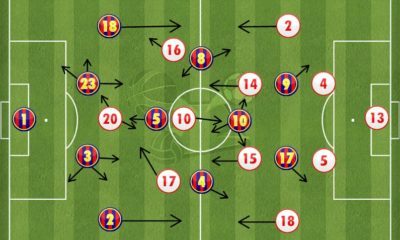 In other words, Barca’s tactical flexibility around the new 3-2-3-2 system depends on the rugged Argentinean holding it all together in the middle. Alen Halilovic: Perhaps the biggest indication of the talent the 18 year old possesses is the numerous comparisons with Lionel Messi and fellow Croatian Luka Modric. It is clear where the likeliness stems from with the diminutive Halilovic standing at just 5ft 7inches, but his talent is unmistakable. A deeper-lying playmaker by trade, he has the strength to hold off opponents as well as the instinct to know where team-mates are placed when it comes to moving the ball on. Signed from Dinamo Zagreb in the summer for just €2.2 million after already clocking more than 50 first-team games for the Croatians, he is able to move past plays at will as he blessed with majestic balance and great technique. He will initially start life in the B side but if his pre-season debut against Recreativo is anything to go by, don’t be too surprised if this precious talent breaks into Enrique’s seniors by the season’s end.